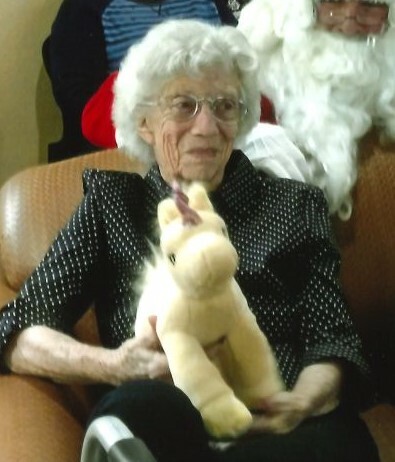 Edna Mae Whitener, age 91 of Olathe died at Homestead in Montrose Wednesday morning. She was born to Arthur Wallace Caddy and Edna Viola Button on November 4, 1927 in Montrose, Colo. She was raised in the Colona community where she completed her elementary schooling at the historical Colona School. She completed her high school education in Ridgway at age 17. She was independent at an early age and eloped at age 19 to marry a former Navy sailor Raymond (Ed) Whitener on December 14, 1946 in Flagstaff, Arizona. During their married years they lived on California Mesa farming the homestead. They are the parents of Peggy (Al) Mewes of Montrose and Tim Whitener of Olathe. She has five grandchildren: Adam Mewes (Katie), Deena (Andy) Wright, Aaron Whitener, Ryan (Kristin) Whitener, Kylee (Henry) Rodgers and five great- grandsons, two step great-grandsons, and one step great granddaughter. Other surviving family members include her sister Wanda L. (Floyd) Miller of Colona, and sister-in law Thelma Caddy of Montrose, and numerous cousins. She was preceded in death by her husband, Ed, on June 28, 2002; her parents; her brother, Donald A. Caddy; and great granddaughter Hayden Renee Whitener. Edna‘s passion was her family, and she loved cooking for all kinds of events. She was the Fairview School cook for many years while her children were in elementary grades. She also worked summers at the drive-in movie theaters in Delta until they closed. In later years she managed the Quality Packing sheds in Delta until the age of 86. Edna enjoyed her farm with a large garden, canning, and raising her animals. She also enjoyed sewing with her antiquated wood cabinet sewing machine. She had a special passion for reading and watching all teams associated with major league baseball and basketball. She will be missed by all her family, extended family and friends. 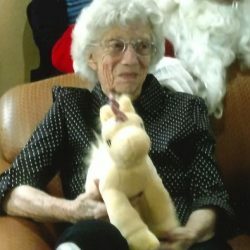 At her request, arrangements are being handled under the direction of Crippin Funeral Home, 802 East Main Street, Montrose, Co. Memorial services will be held at Crippin Funeral Home Chapel on Friday, February 15, 2019 at 10:00 a.m. with interment at Grand View Cemetery following the service. In lieu of flowers you may donate to Homestead of Montrose, 1819 Pavilion Dr., Montrose, CO 81401 or Hope West CO., 645 So. 5th, Montrose, CO. 81402.